Quick Pic: Saint-Jean-de-Luz | eat. write. smile. Today Elisha and I took the train into France to see the Pays Basque beach city of Saint-Jean-de-Luz. Since it’s February and freezing cold, we were mostly alone on the beach and on our strolls along the coast. We stocked up on French ingredients, confections and conserves: Caramels au Beurre Sale; Macarons; Gateau Basque au Chocolate; Fromage and more fromage; baguettes; Rilletes de Thon; and a pair of gloves because it was 2 degrees Celcius all day. I loved to see menus in French, and it made me so happy to spend some time in the sunshine. Lovely day. Feeling pretty lucky to be here. such a beautiful clear day!! i love it!! keep warm…enjoy! 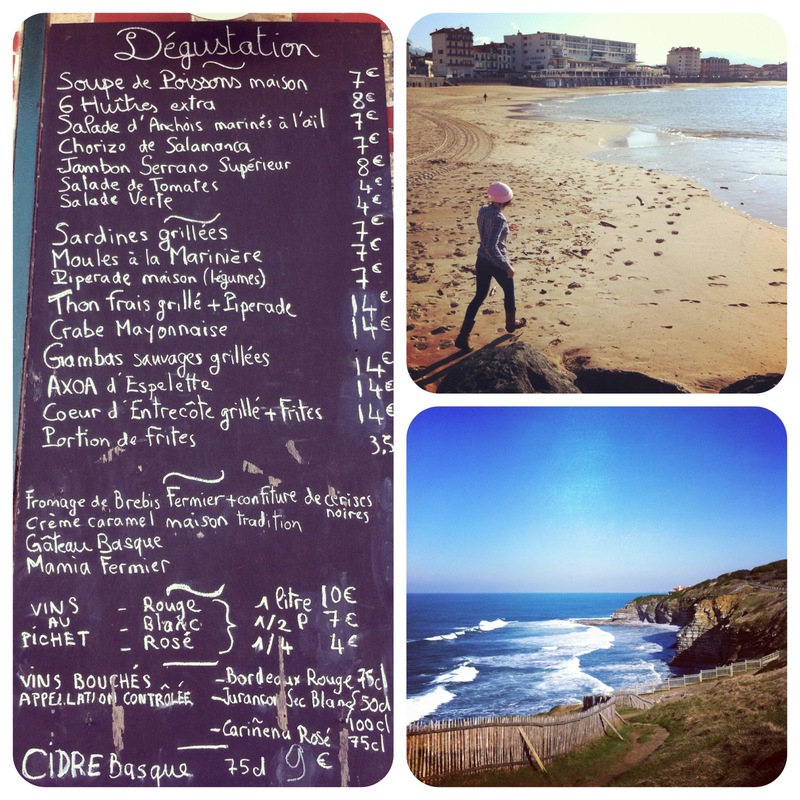 This entry was posted on February 7, 2012 by Ruthie in BasqueStage, Quick Pic, Travel and tagged France, St Jean de Luz.